I downloaded the trial and immediatly put it to use. I am using Windows 8/Photoshop CC, and Export Kit Suit v125 does not write the html or css. It goes through the process and creates the HTML folder but when its done, there is nothing inside the folder. The images are successfully cut and put inside the generated SKINS folder but I am not sure why the html isnt. Another important note is that you must extract your designs from any zip file. Do not attempt to export design inside of a zip file. In our new Lightning Storm v128 there are very few reasons why you may not see your output files. Do not use UPPERCASE file extensions, use LOWERCASE extensions such as my_file.psd when you name your files, note the underscore "_", DO NOT use space " " in your PSD name. You must use RGB color mode when exporting. If you use CMYK, your export will not complete. Read http://exportkit.com/learn/optimization-tips/general-tips/use-rgb-color-settings - for more details. A hidden feature of Export Kit is the ability to break the output on a specific layer or folder by locking it. We do this because in the past users requested a way of "preventing" the client from exporting the PSD until they were paid in full - this is the way. The problem is not Photoshop or your export, but the naming convention of the PSD file or the folders it is located in. Photoshop and Windows do not like particular characters when used in folders or PSD names for exporting. FIX: Try to move the PSD to your desktop or C:/ drive and try again - basically anywhere that has a short folder path. This should fix the write error on the files. NOTE: You should NOT have . (dot) in your folder names eg. My.great.folder will not render correctly, a better name would be MyGreatFolder or My_great_folder. In testing we found that with heavily nested folders, it would take a substantial amount of time to read layers --- IF --- the layers have a complex nesting. In a situation like the example above, depending on your CPU, if the last layer in the PSD has a complex folder nesting similar to “Layer 5” or even more complex – it can take a little bit to gather all the data at the end. This would produce the same results you describe: (1) you have skins – correct, skins are saved on the fly; (2) you do not see “export complete” – correct, this only happens after ALL layer processing; and (3) you do not see .html or .css – correct, code is only processed AFTER all layer processing. 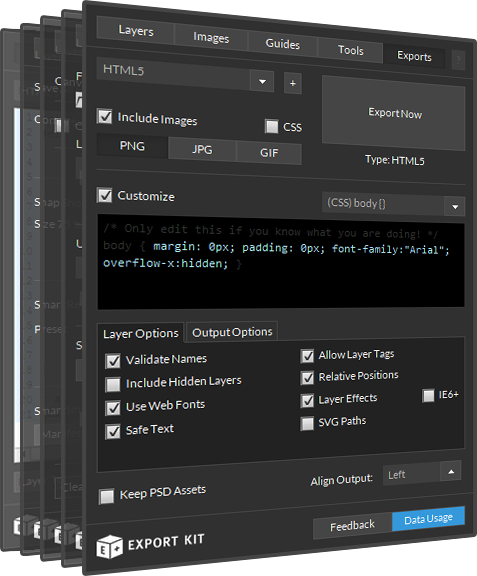 In situations where the export process is interrupted, the resulting PSD file will likely have layer names that have been changed by the plugin during the process. If you run the export process again on the current PSD you will likely have errors in the output as object references and image links may be broken. FIX: Rename the layers (this can take a while). FIX: Delete the current "ftml-www" folder and run the export process again (much faster). If Export Kit does not detect a layer type or layer contents (eg. blank layer) it will cancel the output. Looking for another answer? 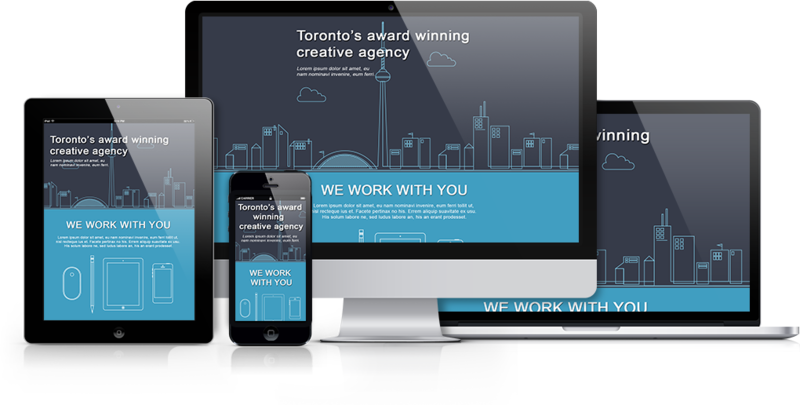 View other questions in HTML CSS Photoshop Image Folder or get premium support for guaranteed results.